Poi durent puis li suen sospir. A l’un ueil plore, a l’autre rit. Mout muënt tost li lor corage. One nule ne sot duel aveir. 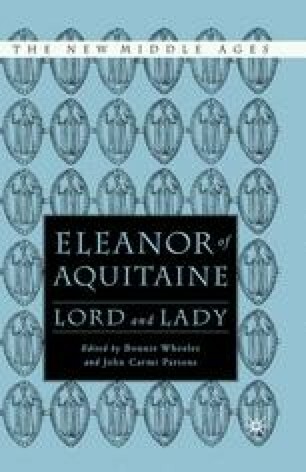 Since Eleanor of Aquitaine is likely to read his work, Benoit’s creation of Briseida and portrayal of Helen of Troy are attempts to praise Eleanor and avoid her wrath.